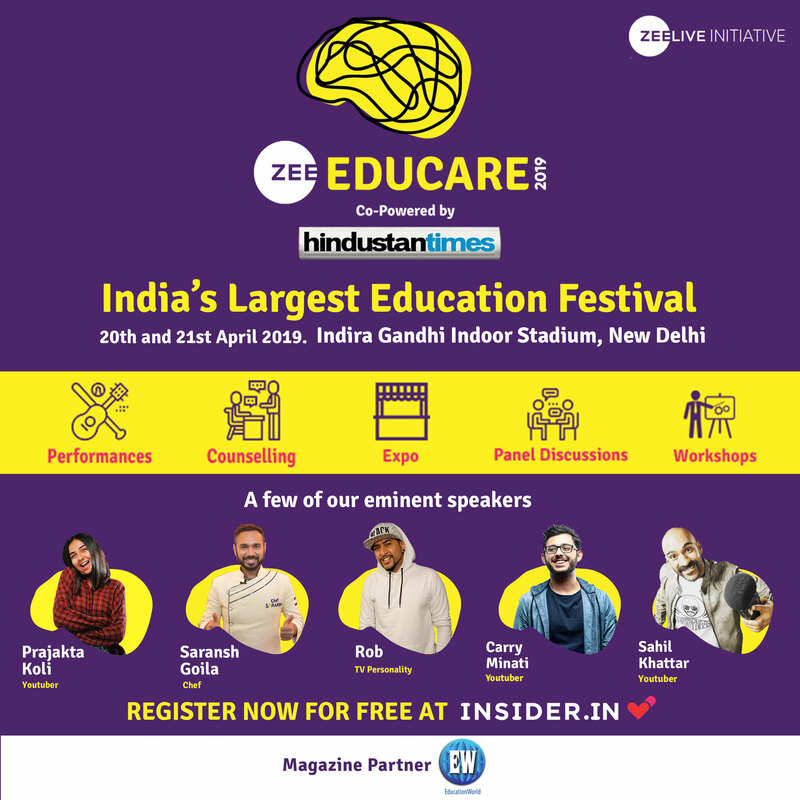 Despite massive disruption of flight schedules due to heavy fog enveloping Bangalore’s Kempegowda International Airport, which delayed dozens of outstation arrivals, EducationWorld’s 9th Early Childhood Education National Conference 2019 convened in the garden city on January 19, was a resounding success. Over 350 early childhood care and education (ECCE) professionals, academics, principals and teachers from 70 cities across India congregated in the packed ballroom of the gleaming new, upscale Shangri-la Hotel to discuss and debate best practices in early years education and on ways and means to draw government and public attention to the importance of providing professionally administered ECCE to all of India’s 164 million children in the 0-5 age group. 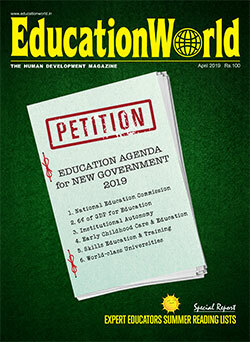 In his welcome address, Dilip Thakore, publisher-editor of EducationWorld (estb.1999), urged the representatives of India’s top-ranked pre-primaries to exert pressure on the Central and state governments to increase budgetary outlays for the country’s 1.4 million government anganwadis — nutritional centres for new-borns and lactating mothers which are also mandated to provide early years education to bottom-of-pyramid households — which grudgingly accommodate 84 million children. “Most industrially advanced OECD countries and China are allocating ever greater resources for early childhood education. Unfortunately, within India’s Central and state governments there’s very little awareness about the critical importance of professionally administered ECCE. For the past two decades, national expenditure for all education has averaged a mere 3.5 percent of GDP, leaving little for ECCE. This is unacceptable. I appeal to all of you to become evangelists for human capital development beginning with early childhood education,” said Thakore, while applauding the efforts of the country’s 300,000 private pre-primaries for providing enabling early years education to 10 million middle and higher income household children countrywide. 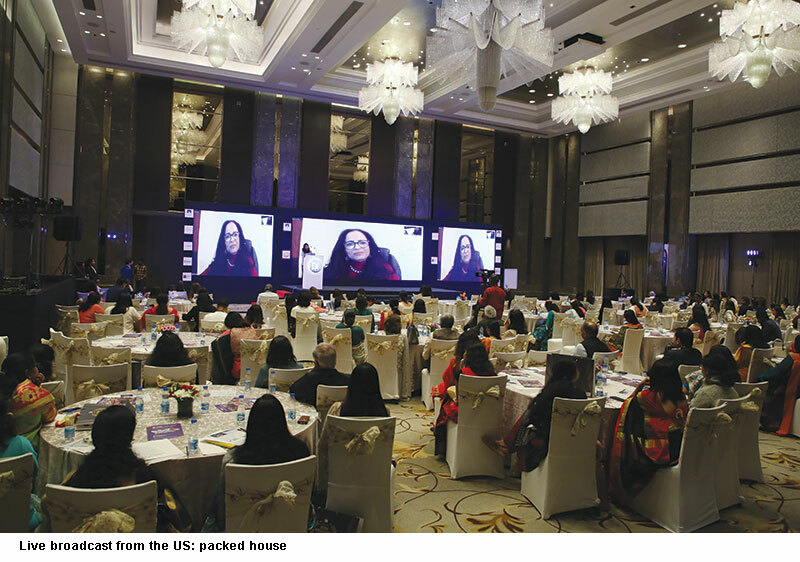 The live broadcast from America was followed by an interactive workshop on the theme ‘Igniting the senses, using the aesthetic power of drama in pre-primary classrooms’ by Jehan Manekshaw, an alumnus of Wesleyan University (USA) and University of London, and co-founder and managing director of Theatre Professionals Pvt. Ltd and the Drama School, Mumbai. The post-lunch session featured five expert lectures on issues critical for universalisation of professionally administered ECCE to the nation’s neglected 164 million children in the 0-5 age group. 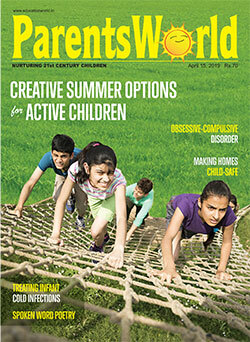 They included: ‘Secrets of successful preschool franchisees management’ by Lina Ashar, Mumbai-based founder-chairperson of Kangaroo Kids Education Ltd which owns and franchises 116 preschools and K-12 schools in India and abroad; ‘Progress and differentiated instruction in early childhood’ by Dr. Amrita Vohra, a Gurgaon-based senior education specialist of Opportunity International (India); ‘Addressing the teacher training crisis in early childhood education’ by Maya Menon, founder-director of the Teacher Foundation, Bangalore; ‘Can public-private partnerships revive India’s 1.4 million anganwadis?’ by Swati Popat Vats, founder-president of the Early Childhood Association of India, and ‘Developing literacy in early childhood’ by Ezette Grauf, head of teaching and learning at the Heritage Xperiential Learning School, Gurgaon. 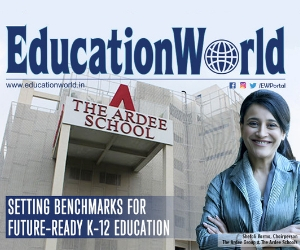 Moreover, interspersed between the interactive workshop and experts’ lectures were the EW India Preschool Rankings Awards 2018-19 ceremony during which the country’s best pre-primaries which topped the EW India Preschool Rankings 2018-19 (see EW December 2018), were presented trophies and certificates (see p.68). This was followed by the second EducationWorld Promising 21st Century India Preschool Awards 2018-19 (p.86). Brilliantly orchestrated by EducationWorld’s events manager Poonam Shah, former events manager of Mindframe Events, Bangalore, notwithstanding the delayed arrival of dozens of delegates and awardees, the national conference and awards ceremony flowed smoothly with almost all delegates showering praise on EducationWorld on site and on social media.